Knock Heads with the Hulk! 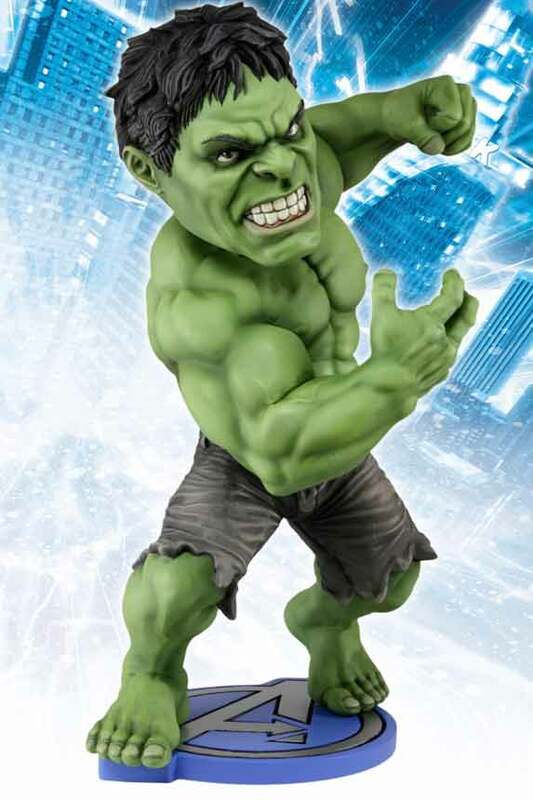 This addition to our popular HeadKnockers brand brings you Hulk from the blockbuster movie The Avengers! Bruce Banner’s gamma-irradiated alter ego is cast in resin and then hand painted for incredible detail. He stands on an Avengers symbol base, ready to — what else? — SMASH. A massive 9.25″ tall and appropriately broad, with bobbling head — fun for fans of all ages! 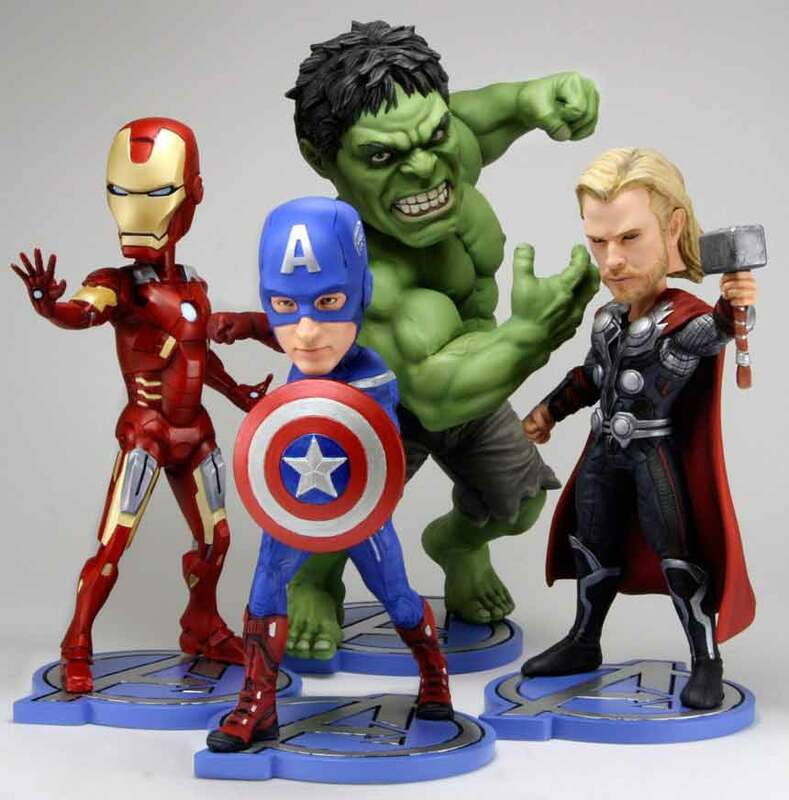 Hulk is part of our line of Avengers movie HeadKnockers — all four Avengers have Avengers symbol bases and are in one consistent scale so that they can be displayed together.